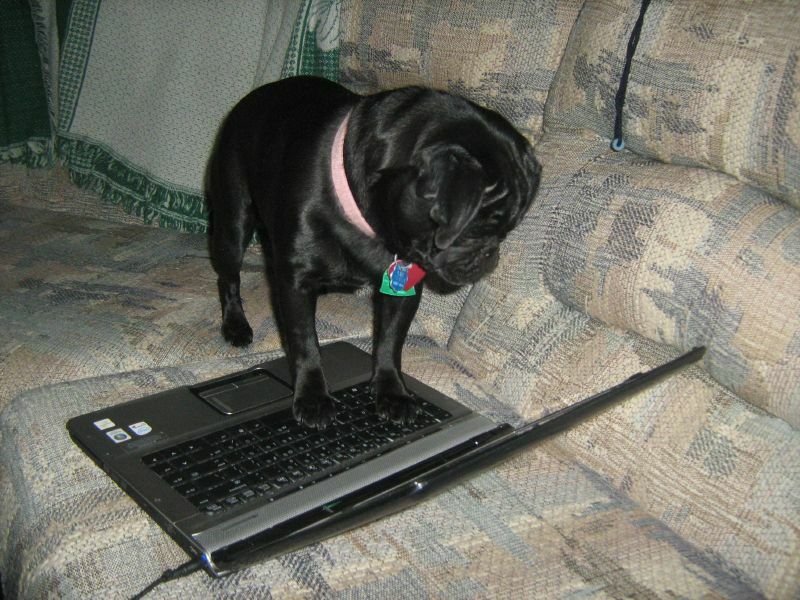 This cute pug is trying to do some last minute shopping. In a cold sweat, she realizes she forgot a gift for her uncle – time to do some last minute online shopping! What do you mean we don’t have a snow day? 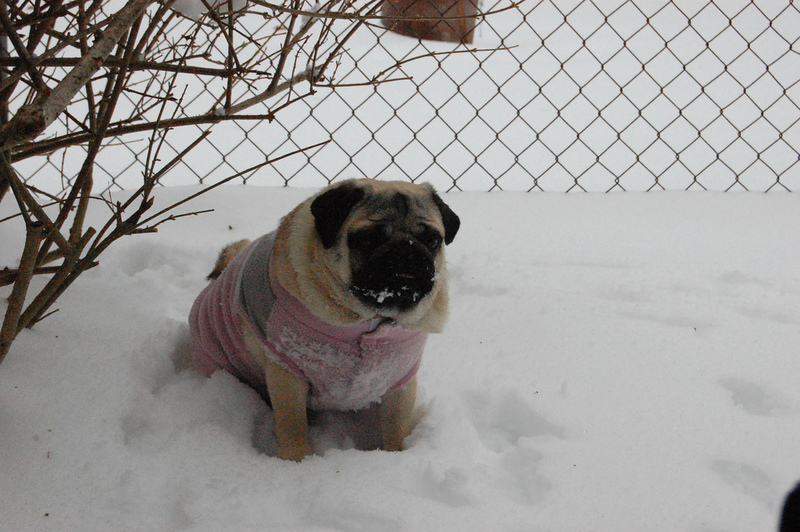 A snowy pug wearing a sweater! Brrr! This looks cold. It’s okay though, she has a cozy sweater so can have a little fun in the snow before heading back in side for fireside warm snuggles and snacks. 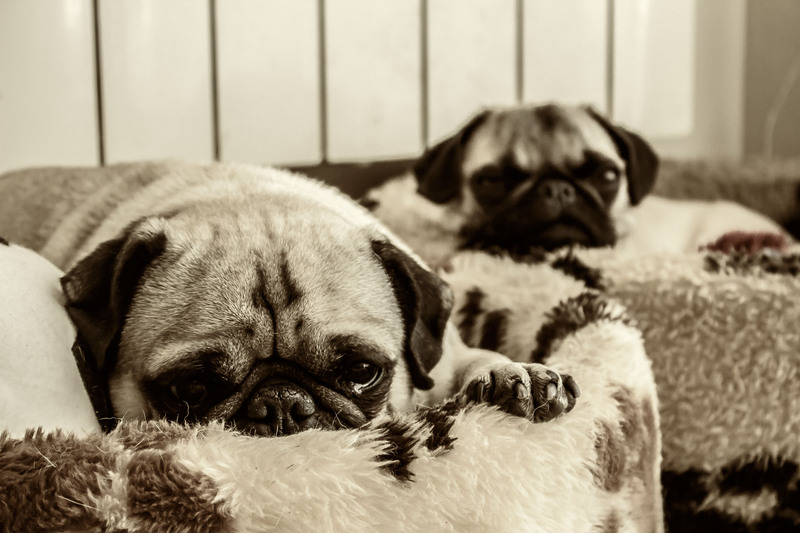 These two pug puppies have just finished up playing and are resting up for round 2! 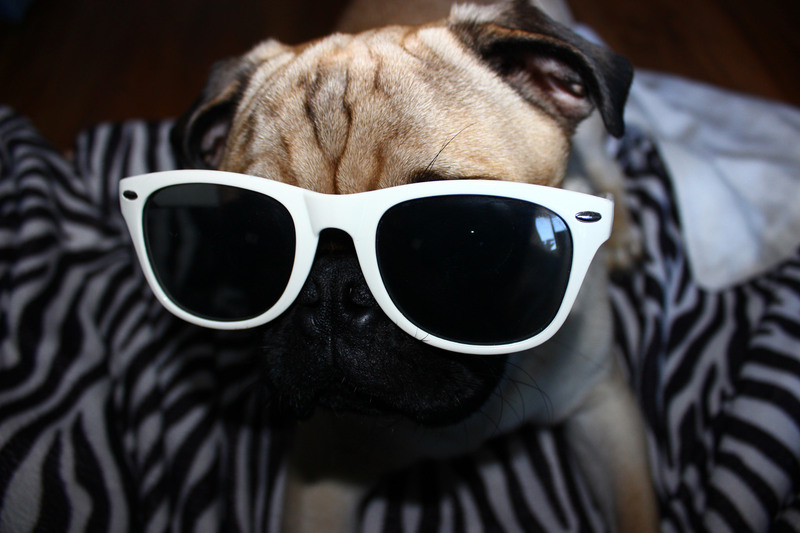 The glasses look fabulous on this pug puppy! Really not much more can be said – stunning glasses, miss! 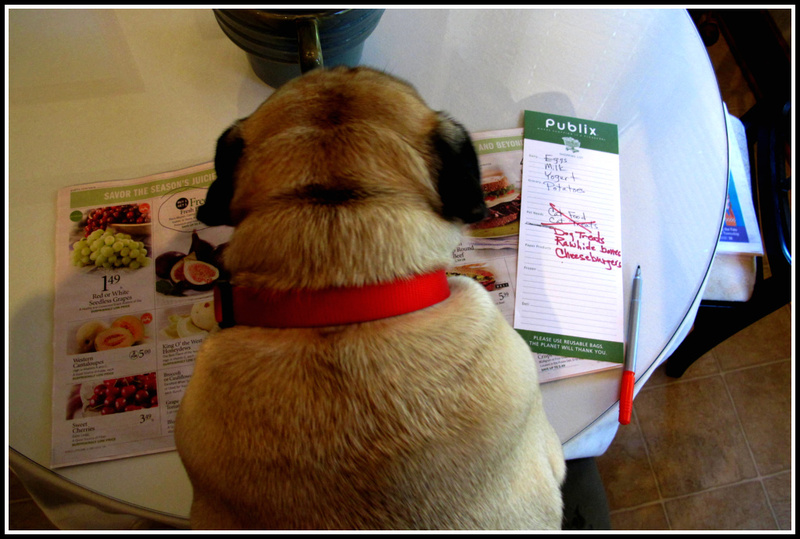 This pug is just planning out this week’s food! 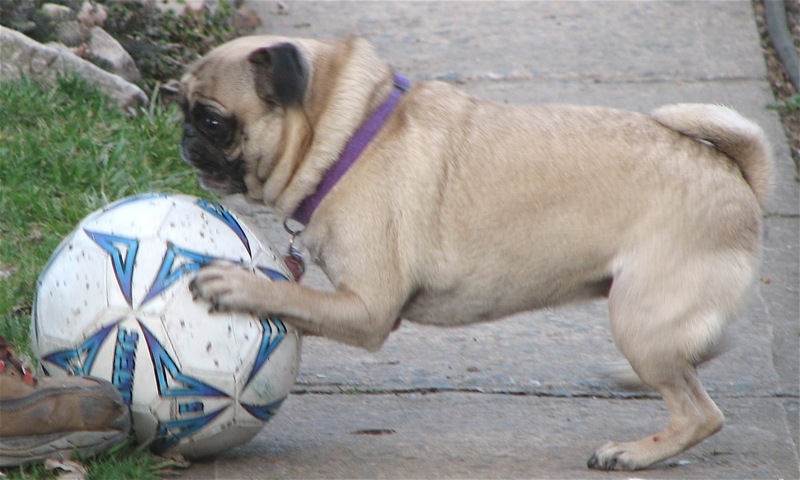 This cute pug likes to play! Although, it looks like that ball may get the best of her. 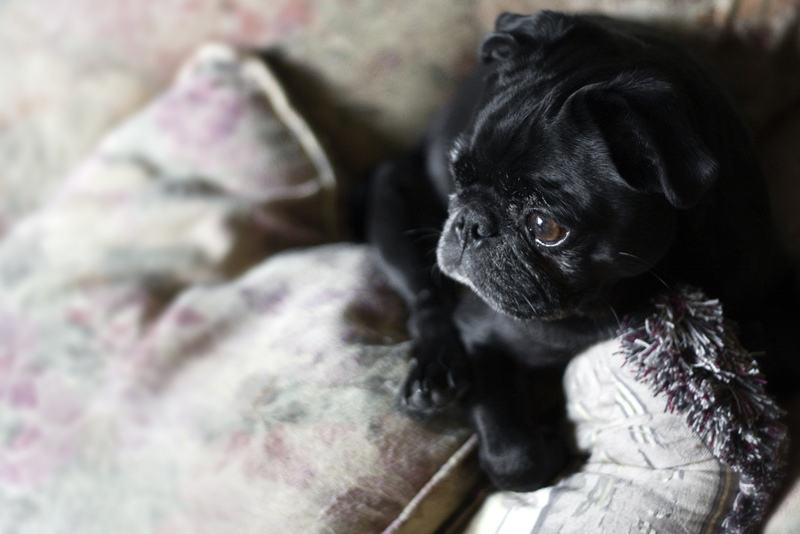 We wonder what this pug puppy is looking at. 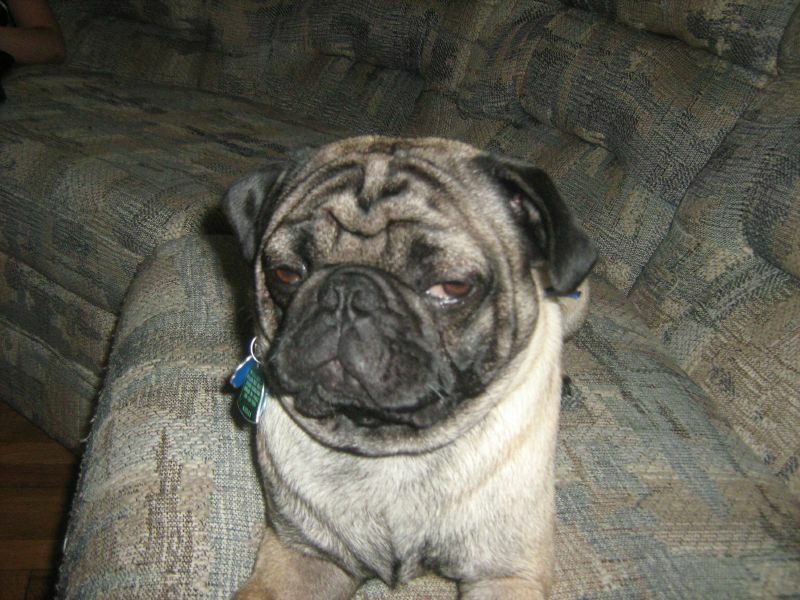 Sometimes it is really tough to know what is going through a pug’s mind. Is she lamenting the cold weather that is coming back soon? Maybe trying to figure out New Years plans? 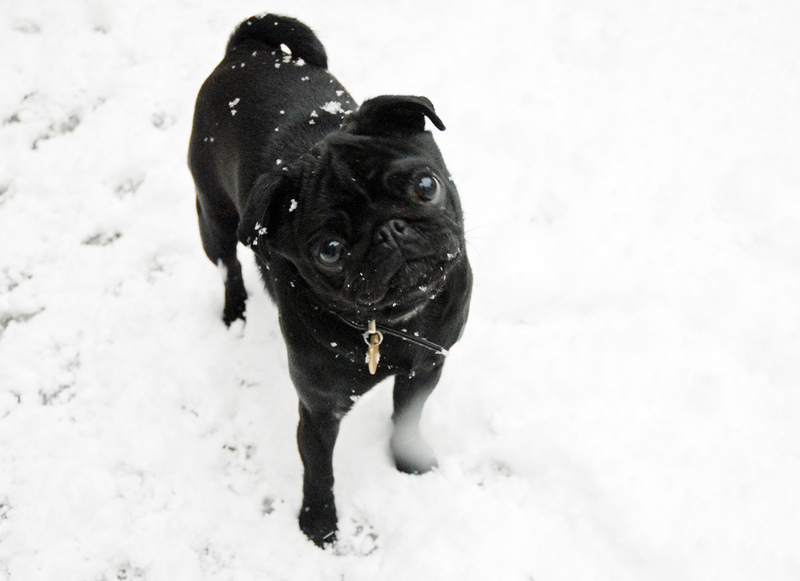 All we know is this is one cute pug! 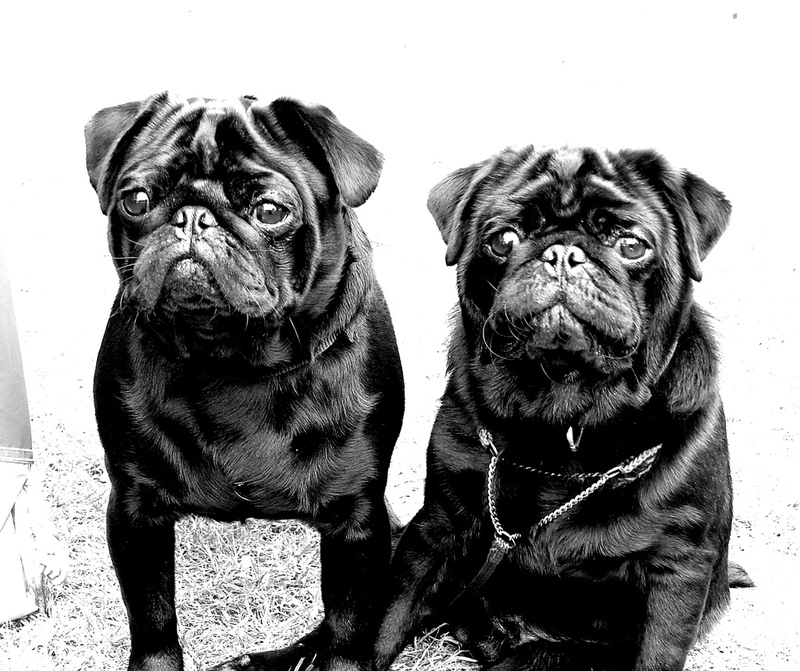 Check out these two pug pals – they look so soft!